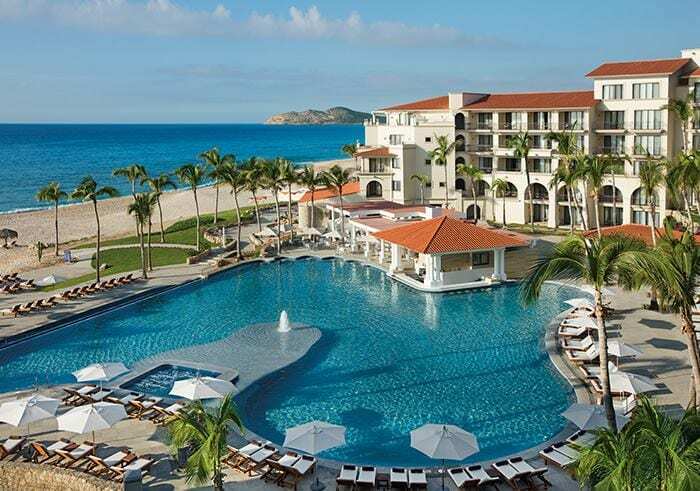 Book your stay with one of the breathtaking hotels from The AMResorts Collection from now until 2/26/19, for travel from now through 4/30/19, and save! When you book your AMResorts stay with Enchanted Travel during the stated booking window and for the stated travel window, you’ll save up to 40%. In addition, you’ll receive $200 in resort coupons, reduced upgrades starting at $20.19, spa vouchers, and kids rates. Savings and offers vary by resort, but take a look at some of our favorite stunning AMResorts properties below. 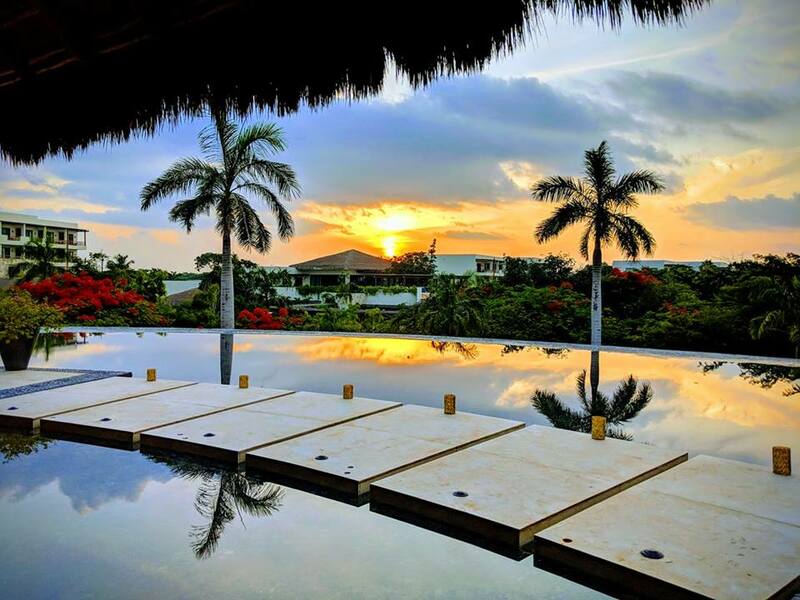 Secrets Akumal Riviera Maya is located in the heart of the Riviera Maya and just 20 minutes from Playa del Carmen. We love this AMResort because there are so many land and water activities included in your Unlimited-Luxury® stay. You can even swim with turtles directly from the resort’s beach! 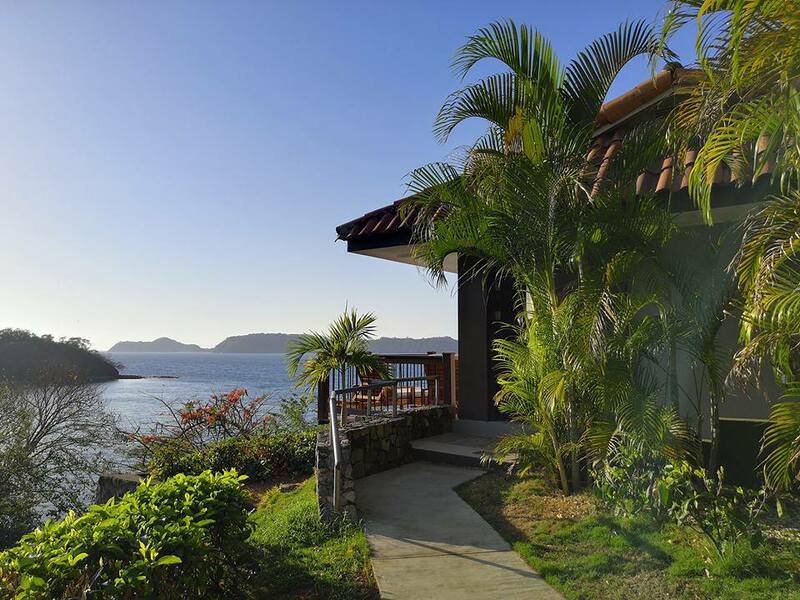 This AMResorts property is set on Papagayo Bay along the Pacific coast of Costa Rica. Secrets Papagayo Costa Rica is a tranquil and intimate resort sits on a black volcanic sand beach surrounded by lush mountains. It is conveniently located just 20 minutes from the Liberia Airport and 20 minutes from downtown Liberia. Plus, there are an array of restaurants and bars to choose from at this 434-room property. Located directly on the sparkling Sea of Cortex, Dreams Los Cabos Suites Golf Resort & Spa is a luxurious place for families and couples. This all-suite property boasts traditional Colonial Mexican architecture and plenty of activities for kids. This classic Palm Beach Punta Cana Resort has a boutique type feel, even with over 300 rooms. It has one of the most beautiful and large beaches in the area. 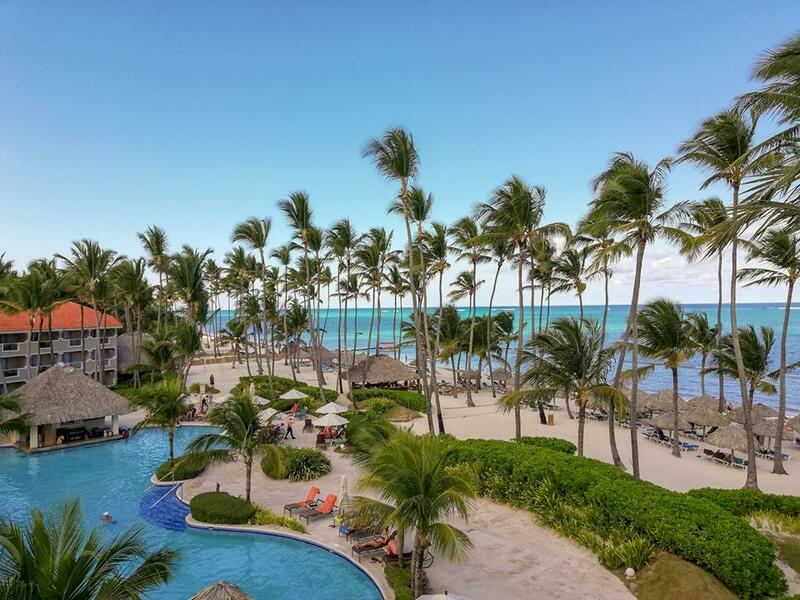 In addition, Dreams Palm Beach Punta Cana is conveniently located just 20 minutes from the Punta Cana International Airport, and it is the ideal location for those interested in deep sea fishing as it is very close to the Nautical Club in Cabeza de Toro. It is also very close to several golf courses in the area. Breathless Montego Bay is a boutique-style all-inclusive in Jamaica, with just 169 total suites. One thing we love about this AMResort property is that they do not allow student groups, aka Spring Breakers, at the hotel at all. This ensures your stay will be fun in an upscale and luxurious way. Even though it is on the smaller, more intimate side, there are tons of dining options. There are 7 specialty restaurants onsite and you have access to neighboring Secrets Resort, with 10 additional dining options. Spring Breakers aren’t allowed here either! This unique oceanfront resort sits on Medano Beach, the safest swimmable beach in Cabo San Lucas. 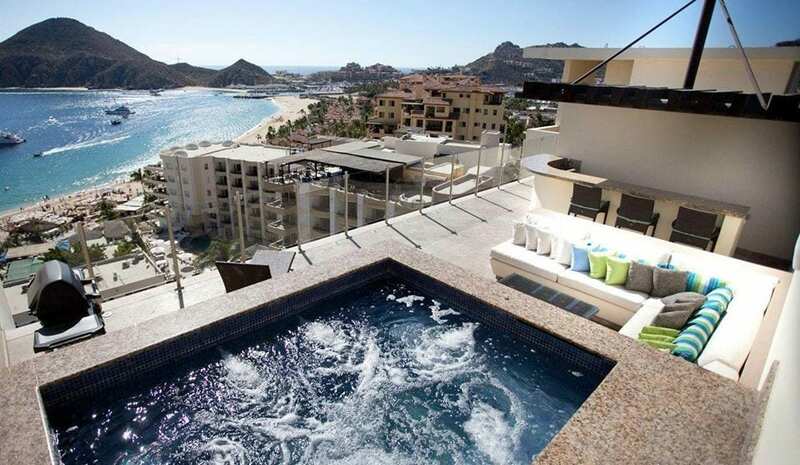 Breathless Cabo San Lucas also boasts just 169 suites, with private and scenic terraces showcasing ocean and marina views. This is a great option for honeymooners or other couples, families, or groups. The AMResorts brand also encompasses Zoetry Wellness Resorts & Spas in Mexico, the Dominican Republic, and Jamaica. 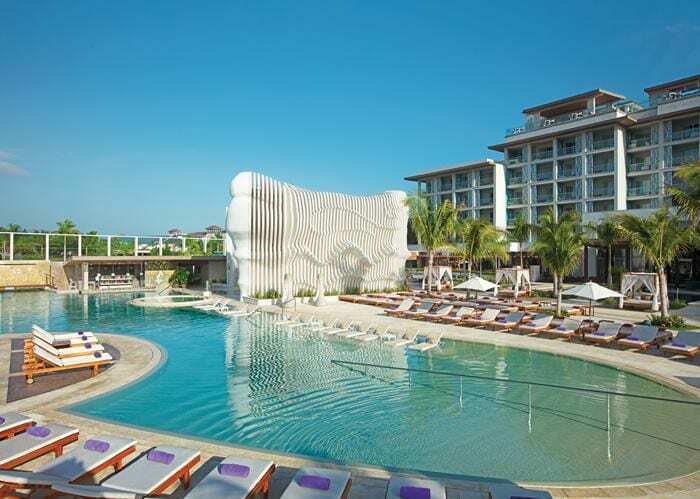 NOW Resorts & Spas are also under the AMResorts umbrella, as are Reflect Resort & Spas and Sunscape Resorts & Spas. You can find all of these properties throughout Mexico, the Dominican Republic and Jamaica. Call us today to speak to one of our AMResorts specialists. You can reach us at 402-390-9291.